The S&P 500 initially tried to rally during the trading session on Friday, reaching towards the 2680 handle. The market turned back around to form a bit of a negative candle, as US banks struggled. Ultimately, this is a market that I think continues to deal with the 2680 level as resistance, and I think that if we can break above there, the market should continue to go much higher. At that point, I would anticipate the market moving towards the 2800 level. I believe that level should continue to be massive resistance, and I think that we will need to rally several times to build up the necessary momentum to break out above there. Pullbacks should be buying opportunities, and I believe that the bottom of the uptrend is closer to the 2500 level. The Nasdaq 100 went back and forth during the trading session, testing the 6700 level as resistance. 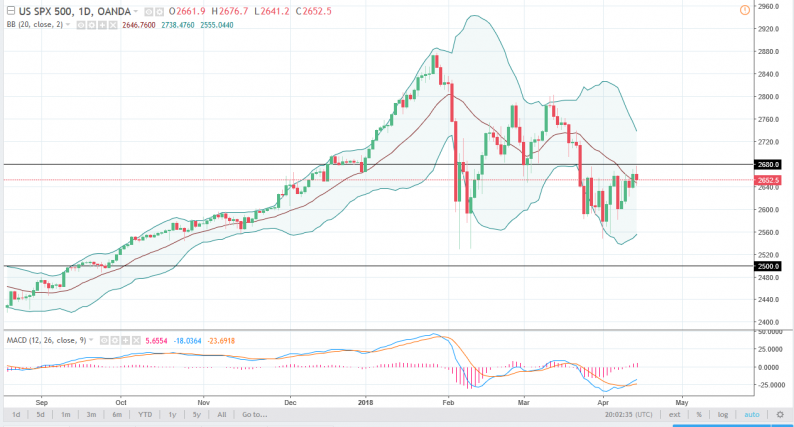 The market continues to be very noisy, and I believe that we will find buyers on short-term debts, as it looks like we are trying to build up enough momentum to reach higher. The 6700 level being broken to the upside opens the door to the 6800 level, and then perhaps the 7000 level longer term. I believe that this market continues to be very noisy, but it certainly looks as if it is trying to grind its way higher. 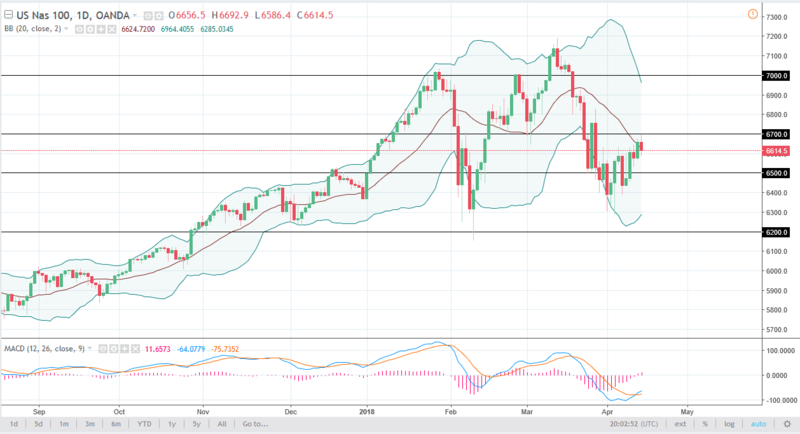 If we can stay away from a trade war, that should send the Nasdaq 100 higher as a lot of the talk between the United States and China has been centered on technology in general, and that could have a massive effect on this market.